While researching a series of poems on the South Yorkshire Waterways, I came upon a boatman’s reminiscence about a stretch of river that passes through Attercliffe, one of Sheffield’s outlying districts. The man was reflecting upon the first half of the last century. He mentioned two things that interested me. Firstly, locals used the river as a kind of rubbish tip, to such an extent that it was hazardous to the boats. Secondly, local gangs used to spit on boatmen as they passed under bridges. This tells us a lot about how locals used to think about the river and those who worked on it. Boatmen were itinerants, like gypsies. They lived outside the ‘norm’ and were not quite welcome. They had no place except the river, and the river was a kind of non-place, a dumping ground. In my poem ‘Attercliffe’, I dramatise this boatman’s story in sonnet form. I’m trying to recover this nugget of forgotten history and restore its urgency and presence. I want to evoke the technical prowess of that boatman, his blunt assessment of the facts, and the measure of his pragmatic but good-humoured response. Although the boats and the boatmen are now outmoded, they were key players within the national economy of their day. That non-place they inhabited was poised between nature and industry, freedom and labour, tradition and ‘progress’. Progress made them, then it pushed them out of the picture. I hope my poem gives them a second hearing. Let’s stick with the lyric mode for a little while longer. 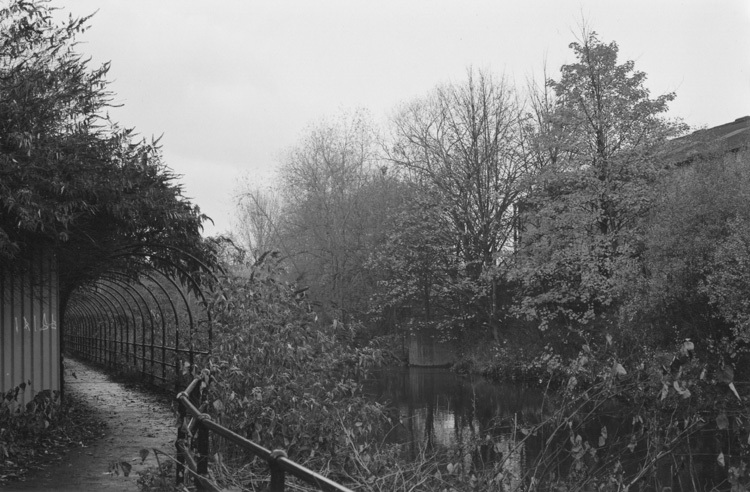 Chris’s poem ‘Kingfishers’ also starts by focussing on the ecology of the Don – again where it is forced to co-exist with the roads, garages and the detritus of the city. Like an amateur ornithologist, the poem takes pleasure in celebrating the bird life of the river; especially two kingfishers that ‘flash like two struck matches’ in the post-industrial gloom. But it goes further. Chris meditates on the role of the poet, casting himself as a kind of translator seeking out equivalents, or correspondences, between the city and the river, between the urban and the natural. The correspondence he finds is in the idea of flow, an idea he makes concrete in the image of ‘a city in spate’. Here the honks of ‘roof-skimming geese’ and the sirens of passing vehicles are united. I find this a powerful image, and it does much to evoke the vitality of both habitats. It is tempting to move on from here and equate this sense of correspondence with a sense of harmony. This would clearly be a mistake. There is an undercurrent of doubt in Chris’s poem. It asks ‘can I translate’? It doesn’t declare ‘I can translate’. Geese and sirens may both embody flow, as may roads and rivers, but they don’t ‘relate’ to each other in any meaningful conversation. Here we find another potential future rather than a manifested one. The seed of another dream. In 2005 I wrote a sequence of sonnets about so-called ‘marginalized’ individuals. In one of these sonnets a young father living in an urban estate carries his baby daughter across the city to look for herons ‘where the road cuts over the river’. The reader is to infer that the man has no car and possibly no job. The poem (‘Watchers’) was born out of an encounter I had in my own life. I saw a man pointing out a heron to his baby daughter from an ugly bridge in Hillsborough, not far from the football stadium. The scene moved me, especially as I had read an article reporting on how children growing up in city estates were unable to name or recognise so many species of birds or animals. Here was a father going out into his world to show his daughter the creature and teach her its name. I admired the determination and respect implicit in this, and above all, I was thrilled by the vigilance and hard-won reward. Neither the river not the heron were particularly ‘marvellous’ in themselves, but in their context they were, or maybe the effort made to credit their existence was remarkable. Why is it that the act of looking for beauty is more rewarding precisely where it is most difficult to find? I wanted to celebrate this. Although I didn’t intend to be self-reflective in any way, it is hard not see a correspondence between the project of the watchful father and that of poetry. While the impulse behind my sonnet is dramatic and outward-looking, in a way it figures an aspect of my own practice. This, too, is a kind of paradox. By ‘watching out’ we can also ‘look in’. 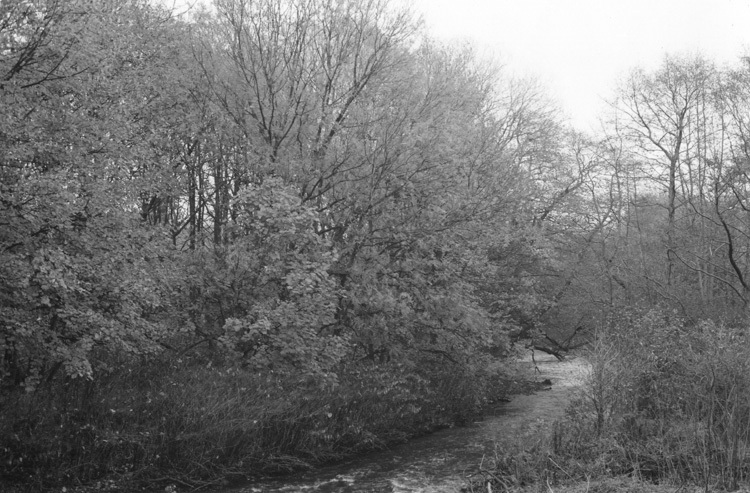 Chris Jones’ essay on the River Don, his sequence At the end of the road, a river (which features in The river, the road), maps of the territory covered by the 2008 river walk and recordings of the poems are on his website.